We like the restaurant opening, and we like the restaurant OPENING. The first opening gets the doors unlocked, welcomes new and returning customers, fires up the grills, assures all the odds and ends are shipshape. The second, of course, has a bit of splash, some big names, and sometimes, surprise news. 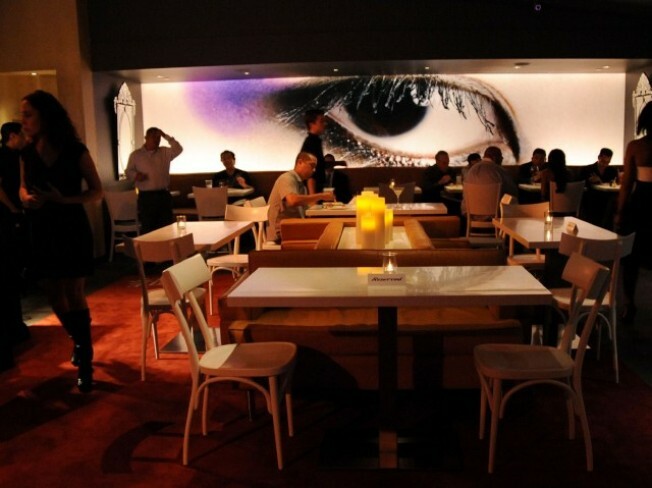 Katsuya at L.A. Live started making those celebrated spicy yellowtail rolls back in June, but the official grand opening went down on Wednesday, September 9th. That's the night that Sam Nazarian, Katsuya Uechi, and Derek Fisher gathered to host a blow-out for the fourth outpost of the famous eatery. Laker guy Rick Fox and Ryan Kwanten of "True Blood" joined, and for a good cause, too: to support After-School All-Stars. Didn't get your invite? Couldn't make the bash? You can still support the All-Stars. Find out more, and donate. Will Hyde 2.0 be the voom-voom spot to head for after home games this season? We're guessing yes. Oh yes.